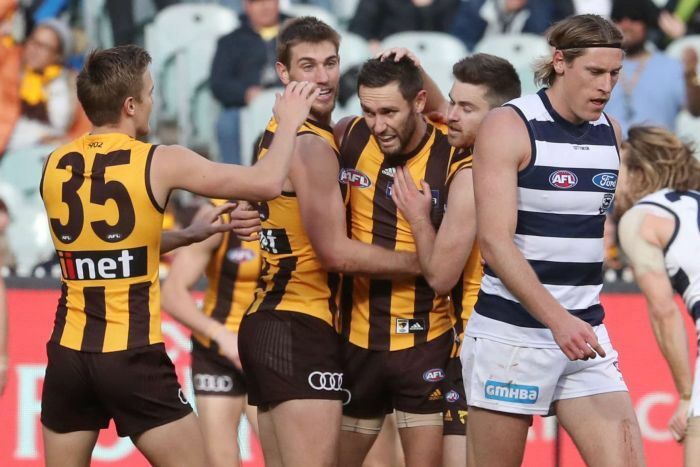 Hawthorn’s win over Geelong all but guarantees the brown and gold a spot in the finals, and with victories like this the spotlight tends to fall on some usual suspects. It’s a given that when Hawthorn goes well, the likes of Luke Breust, Jack Gunston and Isaac Smith (two goals each) and Shaun Burgoyne (20 touches, 13 tackles) are going to be right in the middle of it. However, for all the stress that Alastair Clarkson displayed in the final quarter as the Cats edged closer and closer before falling short of a comeback win, the Hawks’ coach would have been delighted at some of the performances of the so-called lesser lights in his side. Take a look beyond the obvious and you see that there are some under-the-radar performers who could make the Hawks an interesting proposition in September. Seven games in to an AFL career, it’s a little early to be putting big wraps on a young player. But what James Worpel did at the MCG — in a Hawthorn v Geelong blockbuster, with finals riding on the outcome — was extremely impressive. The former Geelong Falcons midfielder had shown what he could do with a 32-disposal game against Carlton in round 18, but against the Cats, Worpel stepped it up. In the third quarter, with the Cats having a strong start to the second half, the Hawks went forward and the ball was in contest with Worpel on one side and Joel Selwood on the other. Selwood was not as strong at the ball as expected, but Worpel put his head down, grabbed possession and spun out of Selwood’s grasp, before handballing on. The ball eventually ended up with Jack Gunston, who kicked a goal to extend the Hawks’ lead and produce a mighty roar from the Hawthorn faithful. If that was the highlight, his overall coolness under pressure stood out. Worpel’s final stats were 23 disposals, five marks, eight tackles, four inside 50s and two rebound 50s. 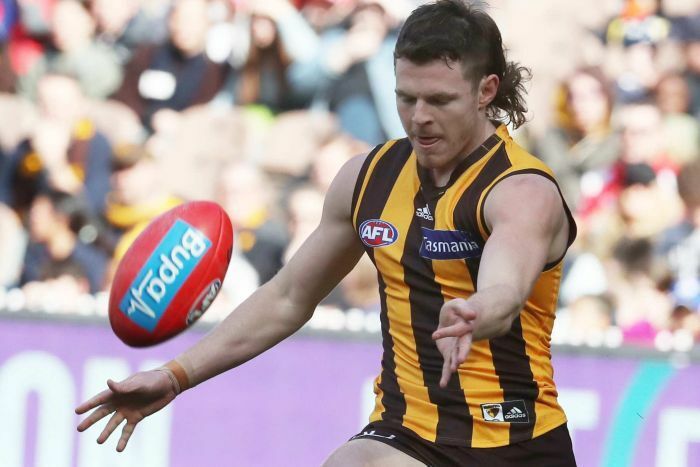 A Rising Star nomination beckons, and who knows what else — right now Worpel looks made for the big stage, and if the Hawks are to do anything in September, it has to be more than the old reliables giving Tom Mitchell help in the middle. At the other end, Blake Hardwick has not yet hit the magic 50-game mark that normally signals expectations of going to the next level. But the 21-year-old, playing his 40th AFL game, showed at the MCG why he is already a regular part of the Hawks’ backline. His seven rebound 50s led the Hawks on the day, he took five solid marks, and 12 of his 19 possessions were contested as the Cats tried to take the momentum. Again, like Worpel, he showed no signs of nerves at the big occasion, and although Geelong went missing at times in attack, a large part of the reason was the composure and pressure laid on at crucial times by the Hawks’ back six including Hardwick. You couldn’t describe Ricky Henderson as a newbie — the former Adelaide Crow is in his ninth season of league football. However, playing up forward alongside the more fancied names of Gunston and Breust, he provided a solid presence at the MCG, especially in the absence of late out Jarryd Roughead. He took eight important marks, had 22 disposals, laid four tackles and had five inside 50s for one of his better games of the year. Ryan Burton has had a reasonably quiet year, but the 21-year-old had a strong game at headquarters, particularly in the first half. He copped a hit to the ribs and had to come off for a while but returned to finish the day with four tackles, a score assist and five solid marks — one contested — in addition to his 18 possessions. Burton was also important with clean disposal off half-back. One of the big differences between the two sides at the MCG was the Hawks’ better use of the ball for large periods of the match. 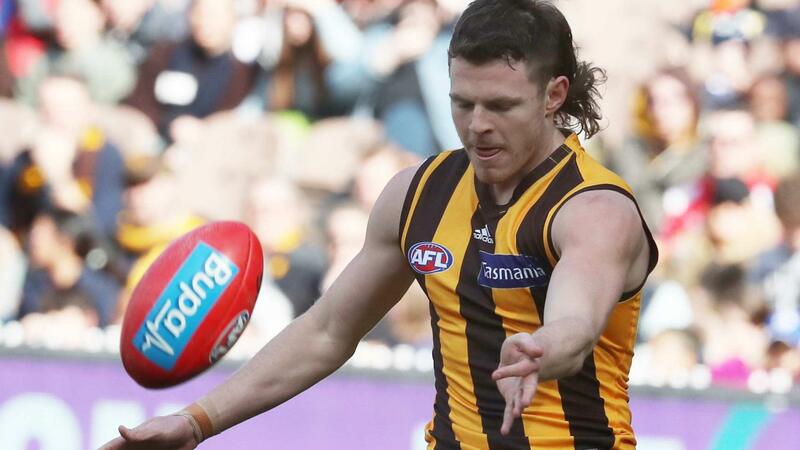 If they are to keep that going in the pressure cooker of September, the Hawks will need reliable kicking from the likes of Burton going forward. In the end the team will need the big names to stand up for a chance of a finals run in September, but if Clarkson and co can have confidence in the younger brigade as well, then who knows what could happen?